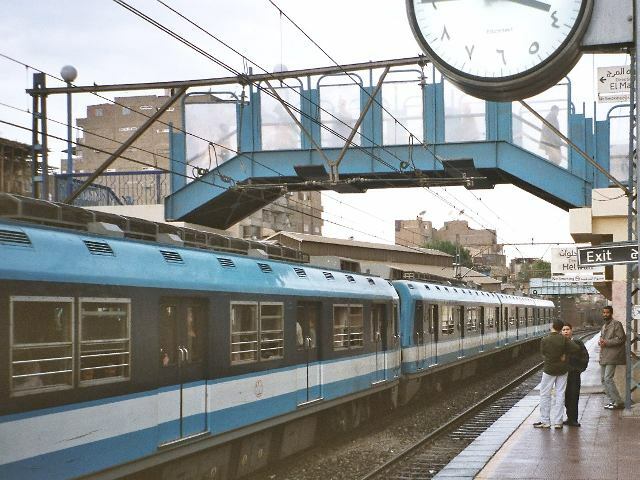 An Egyptian teen, 17, committed suicide by throwing himself under an oncoming subway, according to a statement released by the Egyptian Company for Metro Management and Operation. The subway driver in the first Metro line heading to Al-Marg station was surprised by someone jumping into the front of the subway, which ran over and killed him instantly. The statement said the head of the station, the police and the central control room were immediately notified to pull the victim’s body,which caused a 10 minutes delay in Metro traffic. Mohamed al-Sherbiny, director of criminal investigation of subway police, said that on checking the surveillance cameras he found that the victim was a young man ed who deliberately, threw himself under the train. They did not find ID cards or any form of identification on him. Sherbiny added that a record has been filed on the incident and the teen’s body was transferred to al-Marg hospital. Earlier in July transportation police was alerted by a Metro driver in the first line saying that a girl threw herself down the train wheels while entering Mary Girgis station and died immediately.